It’s been an ambitious plan for “Hateful Eight” distributor The Weinstein Company (TWC) to present the widest-reach 70mm movie release in more than 20 years. Tarantino’s 187-minute roadshow engagement includes an overture, an intermission, exit music, and an extra 6 minutes of footage that will not be part of the digital release. 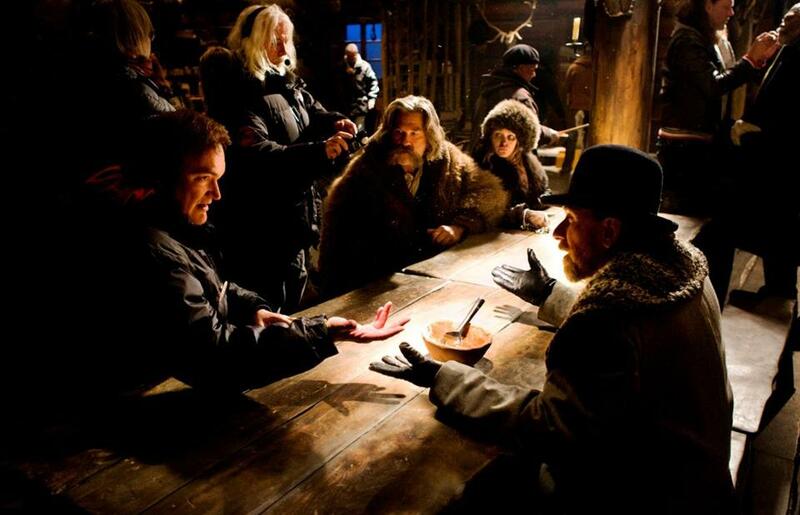 Moreover, Tarantino shot “The Hateful Eight” in Ultra Panavision, an obscure, super-wide format that hasn’t been used since 1966’s “Khartoum” and which requires special lenses for exhibition. Tarantino, a noted cinephile, wanted a return to the exacting presentations that marked major releases of the past. Yet it comes at a time when most theaters have scrapped film altogether in favor of digital projection. “We had to basically equip, from scratch, 89 of 100 theaters,” says Chapin Cutler, cofounder of Boston Light & Sound, the Brighton-based company hired by TWC last year to oversee the national installation of the 70mm equipment, much of which had to be recovered or rebuilt. That isn’t the case with the Somerville Theatre, which routinely screens 35mm and 70mm film, or the Coolidge Corner Theatre, which also has permanent 35mm and 70mm equipment. But even those theaters required the rare Ultra Panavision lenses to project “The Hateful Eight,” which BL&S supplied, fit, and adjusted screen by screen. Along with equipment, projectionists also were jettisoned by most multiplexes when DCP became the preferred format. The 70mm presentation of “The Hateful Eight” will require trained personnel, which is already in place at both the Somerville and Coolidge Corner but not at most multiplexes. Quality presentation has long been the raison d’être for an old-fashioned moviehouse like the Somerville or the Coolidge. But even though most of the 70mm engagements for “The Hateful Eight” will be in multiplexes, says Cutler, audiences are still getting a rare presentation.